INTERVIEW: ICONIC JOHN ROWLANDS PHOTOGRAPHER TO THE STARS. 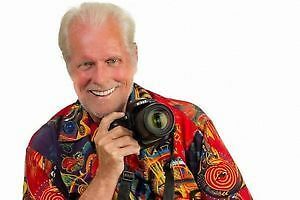 For the past 57 years, Oshawa born photographer, John Rowlands, has been one of the best kept secrets in the music business. Over the years he has been commissioned to take photos of popular music personalities and other celebrities, by their record labels, management or the press. 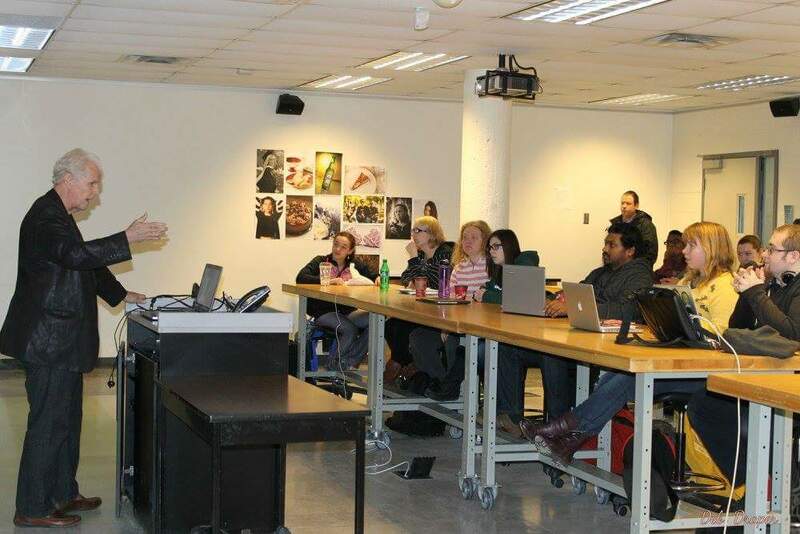 Rowlands has traveled the world and accomplished things many photographers could only dream of. Through it all he has amassed a unique collection of negatives, slides and digital files all the while becoming known as a Photographer to the Stars. It began in Ottawa on September 26, 1960 when Rowlands' 'hobby' turned into a 'career' in the blink of an eye and the zap of a flash bulb! At 13, he'd bought a ticket to popular singer Brenda Lee's touring road show, and knew as a fan, that the only chance he'd have in taking her home was on the film in his camera. Shooting a full roll of film of the show, he met her, chatted with her backstage, carried her suitcase to her station wagon, and got an autograph, her address in Nashville and a kiss on the cheek! Without knowing it, his life changed on that day. Two weeks later after mailing the snapshots to Nashville, he received a call from her manager who requested the negatives. John forwarded them. Three weeks later the mail contained his first photographic pay cheque of $35. Soon, thereafter, he was photographing Sam Cooke. As time passed the offers became more frequent and contained substantial increases in compensation. By 1963 Rowlands was known by several working editors of International fan magazines. SIXTEEN magazine, in New York City had become his first steady account. By the eleventh grade, he was earning $80 an 8x10 and banked more than $10,000. At sixteen he approached Capitol Records who had just signed an Ottawa band, The Esquires, and showed them photos he’d done of them before they signed with the label. This venture brought forth a career shift and a key to the door of the record industry was at hand! DEB: " John at 18, you toured with The Dave Clark Five, The Rolling Stones and The Beatles. Who were these stars off stage? " JOHN: " One of the first things I learned about working with well-known entertainers was they are, for the most part, just like you and me but with different jobs; in this case, writers, players and performers. As high odds winners in having hit records their pay scale is obviously higher than the average person's 9 to 5 day job. " DEB: " Where have you traveled in your extensive career?" JOHN: " Around the world in bits and pieces probably 9 times. Coast to coast in Canada, 44 States in the U.S, Europe, the U.K., Mexico, Cuba, Venezuela, and Brazil. I tried keeping track 40 years ago with journals and day to day diaries but, that didn't last long." photograph that you haven't yet? " JOHN: " I'd like to shoot in China with its history and differences in culture. In many ways it is still a mysterious place. Add a band like the Hollywood Vampires and the shoot will reach out to the rest of the world. " DEB: "I read that 1 iconic shot of yours, taken when you were 19, has earned you well over $650,000 to date & this shot was with The Beatles. How did this well-known shot come to be?" JOHN: "The Beatles at a Press Conference in 1965, where I was shooting freelance Capitol Records Canada. I had just met George backstage between shows and when I came to shoot a group shot of them in a straight line, I didn't think it had the impact I wanted and I asked George to ask John to stand and he pulled together a tighter shot of the four of them. Once it took shape, he looked right into my camera and the shot was perfect in the way I wanted it to be." DEB: "You studied photography at Ryerson University, missing a lot of classes as you toured North America with close friend Conway Twitty. Here is a short list of entertainers that Rowlands has had in his viewfinder: David Bowie, Elvis, The Beatles, The Rolling Stones, Frankie Avalon, Annette Funicello, Jimi Hendrix, Bob Marley, Slash, Alice Cooper, Sting, Michael Jackson, KISS, Willie Nelson, Dylan and Springsteen, to name a few. His website can embellish those mentioned at www.rocknrowlands.com "
DEB: "What was it like being hired to work with ELVIS PRESLEY, the King of Rock n Roll? " 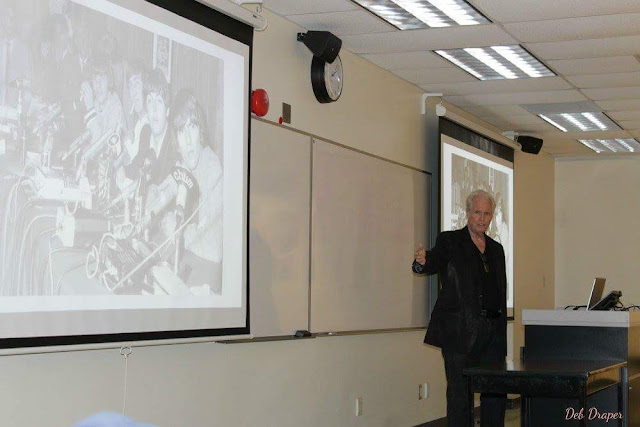 JOHN: "Ed Preston, the President of RCA Canada first hired me for some shots of Elvis he wanted for the wall behind his desk in Toronto. When visiting American RCA ELVIS DIVISION executives saw Ed's Elvis shots I got a call from New York and invited to photograph Elvis for RCA U.S. The assignment lasted over a span of 4 years with 48 shows around America. The job was a "buy out"......I signed a contract that everything I shot was owned and controlled by RCA, the way Colonel Tom Parker wanted it . I gave up the copyright and the licensing rights and passed on the ownership. Compensation for these rights boosted my day rate from $2,500 a day $5,000. 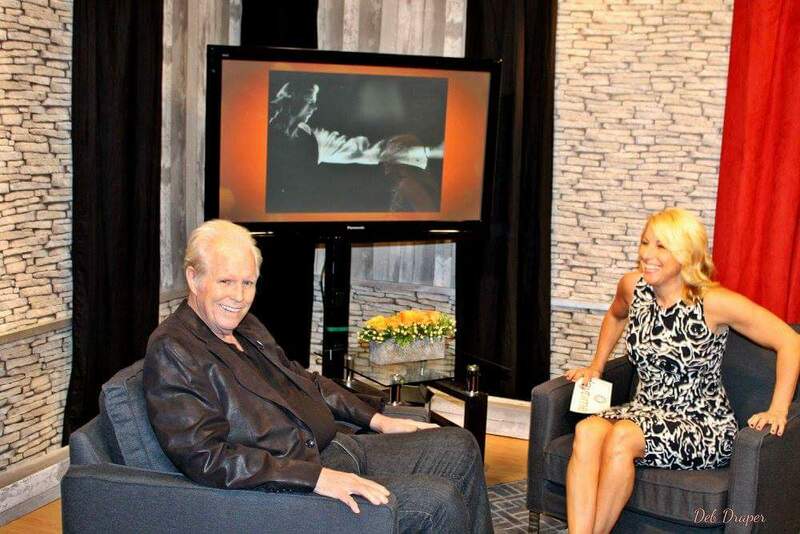 After my touring was over I did a TV show in the U.S for Colonel Tom, talking about photographing Elvis on the road. On that occasion I mentioned “It’s too bad I don’t have any shots of Elvis for my portfolio just to prove to people that I did work with him. Tom replied, “John, I’m going to talk to my people and we'll work something out.” He returned 30 images from our deal with full copyright. A gift. It is the same with David Bowie and "The Archer” I own copyright and the estate owns the licensing. The current TWITTER campaign that I am involved in now exists with the same rights structure." 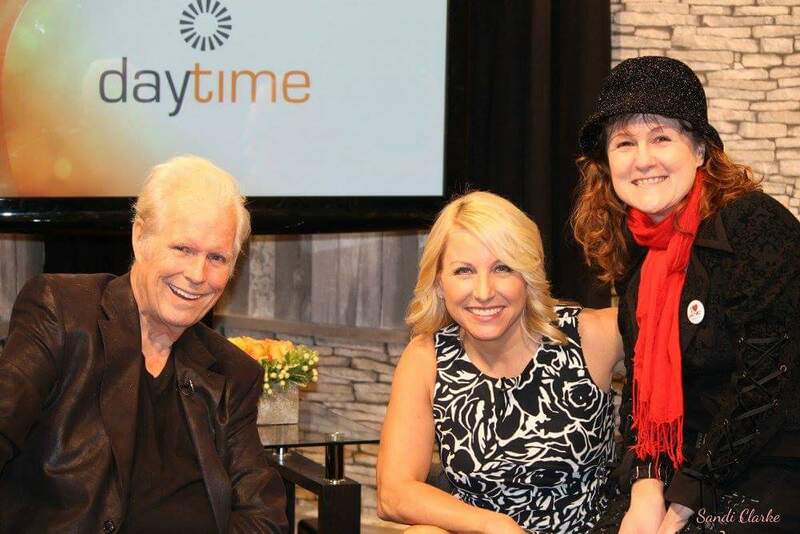 John Rowlands shares stories & his iconic photos like "The Archer" his David Bowie Photo on Daytime Rogers TV with host Denise Marek. DEB: "What camera did you use back then & now? Which do you prefer?" JOHN: "Those days it was a film camera and professionally I started using a knock off to the Rolleiflex camera called a Yashica D. A twin lens reflex with a cover on the top to look down into a mirror that went through a separate lens above the picture taking lens. After 3 years of using that I saved up enough money, $850 to buy my 1st Hasselblad, from Toronto Camera Exchange on Yonge Street. I used those cameras until 2004 and still have my last Hasselblad. All good memories, but in the early 2000’s no client of mine could afford the proofing let alone the final colour prints for the average job. I switched to Nikon digital in 2004 – Love it. " DEB: "You are recognized as one who is passionate about charities. Which do you generally focus on?" 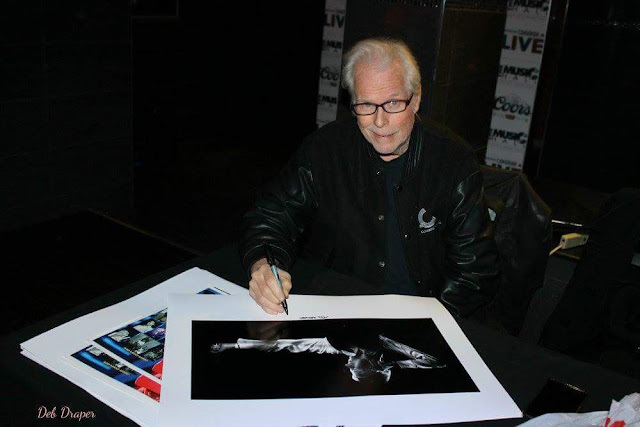 JOHN: " I see it as some of the things that I have accomplished with my photographic career and I can help then it becomes Rock n Roll pays back. If I can help a young person that needs a hand and I can use my photographs that can be sold for money and the money goes directly to the kid, whether he needs it for medicines or benefits. You can help a kid out of a problem if he needs surgery, but, it’s also another financial task on his parents to put together an operation that will fund his sustaining medications and treatments. So, I am a team member of 2 or 3 young people that might need a hand like that. Sometimes I help a little sometimes I help a lot. Why not give to a young person in need that has their whole life ahead of them." DEB: "That is incredible John! " JOHN: "Well, I remember back to some of the nice people that I have met at the top. I’ve had some good talks with Elvis, had some great talks with David Bowie, had fabulous talks with James Burton. I like to connect with people. Most entertainers know about life, know about spirit, know about faith and know about hope and they pass it on. They trade their talents and their efforts into guidance and incentive and the spirit of helping, it makes one feel good. I thank my Mom and my Dad for being who they were because they gave me the spiritual foundation that I grew up on. I have my mother’s heart and my father’s brains. My parents never ever expressed 1 negative word about my dreams, or goals, even though they didn't understand them." DEB: "What is next for John Rowlands?" JOHN: "We will see where all my story telling goes. 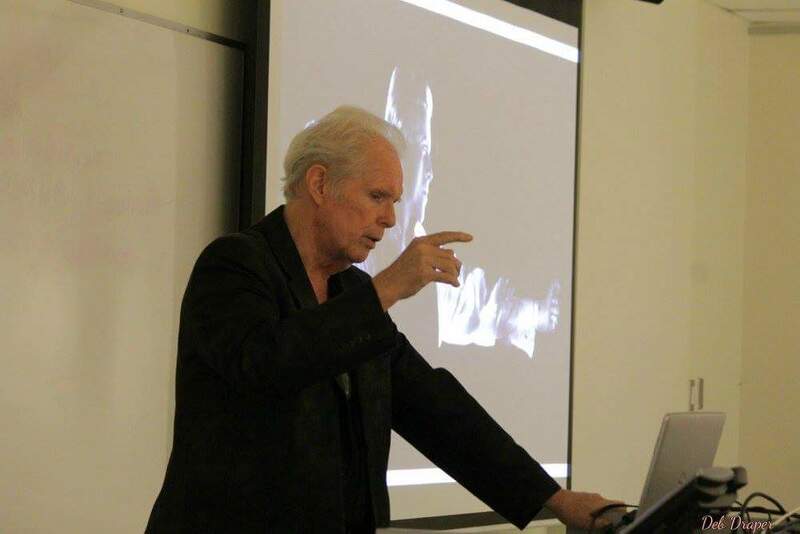 I have worked with everyone from Abba to Led Zepplin, now it’s time to tell the stories." 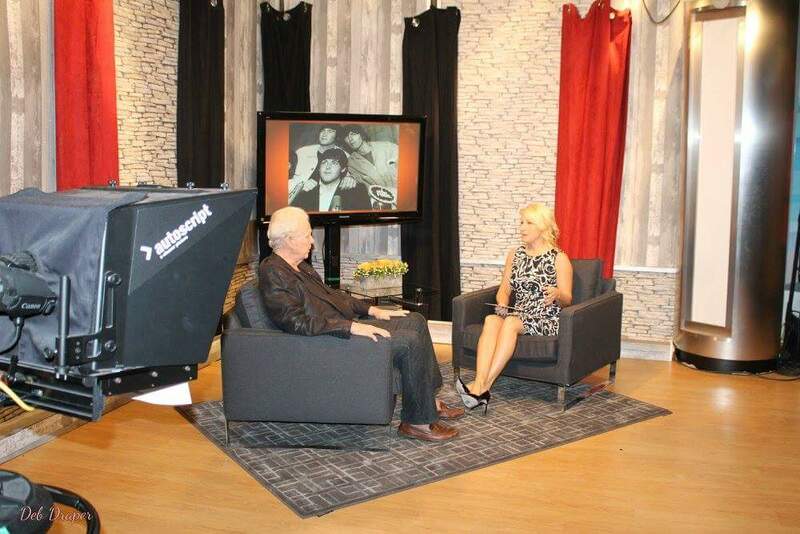 Thank you Rogers TV-Sandi Clarke and Denise Marek for allowing John to share his work and tell the stories of his 57 year photographic career. Thank you Professor Al Fournier and Durham College for allowing John Rowlands to visit. Thank you Shamus Black of Ultimate Artists Live and Michael Bell for including John Rowlands on your BOWIE LIVES David Bowie Tribute Event at Music Hall Nightclub and Concert Theatre Jan. 28th for his fan meet and greet in Oshawa. 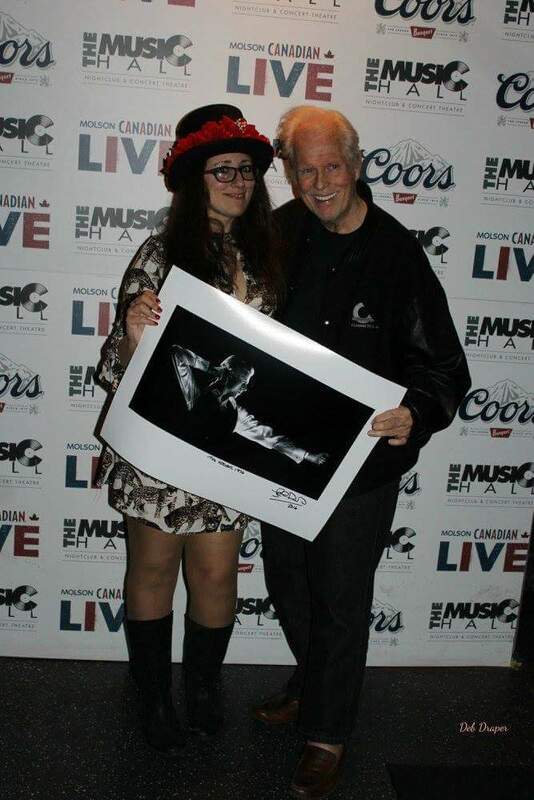 Happy BOWIE fan, Lisa Middleton, with her signed photo with Iconic Photographer John Rowlands. DEB: "John would you have any advice to those, just starting out? " JOHN: "So many things have changed in the music, recording business. What is my advice? I can't ask anyone to follow my trail......it isn't there to follow anymore. I can pass along the spirit and the hope that young people with dreams never ever give up on YOURSELF............Keep your dreams, focus on your dreams. Take one step at a time, it's not going to happen in 2 weeks, but always GO FOR IT!!! " 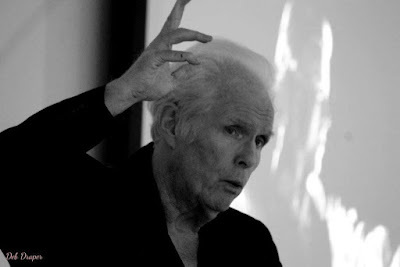 Mr. John R. Rowlands for your time and this incredibly insightful interview, one I will truly treasure. 1 year span on the scene. Signed with Rosner Management in British Columbia, appeared on Rosner Rise Up Tour in 2016, are climbing Radio Charts around the globe, pretty damn impressive!! These seasoned musical vets come from all walks of life and backgrounds musically, yet combine their talents smoothly together creating some recognizable & blazing hot tuneage. Give a listen, you will be pleased you did. Ian Kurz and Ian-K have a 3rd album about to drop! Is lead singer/guitarist that has been playing in popular bands across Ontario for years. Having experience as a drummer as well, and a basic understanding of the piano and music theory in general, he is able to write rock songs that can be as simple as your standard "guitar rock" type of song, or he can write with a fuller production in mind, encompassing the use of keyboard pads, strings etc, to make his songs sound bigger. The only instrument he does not play himself on the tracks you hear on this site is the bass guitar, and the drums in the song "Linger" for which he enlists the help of several friends, otherwise bass is programmed by Ian via MIDI. Likewise for the drums. Although Ian did spend years drumming in the drum corps, he sometimes chooses to use the talents of several drummer friends, or conversely, he will program the drums via MIDI files. Ian has been receiving airplay at commercial radio across the country for his singles 'Yesterday' and 'Never Let Me Go' from coast to coast in Canada, as well as in Europe. 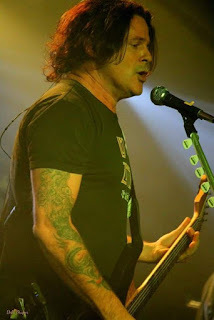 His single 'Linger' had received airplay in the US via the Live365 network, and subsequently broke onto the National Radio Airplay Top 50 Rock Charts in February of 2015, peaking at #31. "Your Hero" peaked at #18 of the TOP 100 Best European Indie Charts, and hit #11 on the Q108 Kingston's TOP 50 INDIE ROCK songs of 2016. Ian is an accomplished player and has shared the stage with some of the bigger Canadian names in the business, and has performed to thousands of people. You will find Ian in the Canadian tribute music scene as well, where he currently plays the part of Paul Stanley in the Canadian KISS tribute band, DESTROYER. 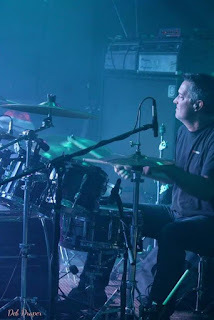 Keith has been drumming since the age of 12, educated from lessons and drum corps. 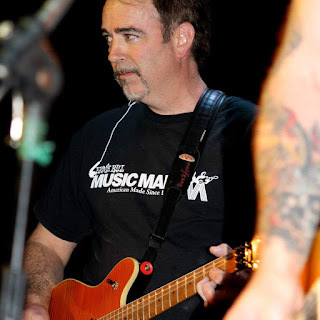 Is a seasoned musician from playing over 2000 live performances over a 10 year span with recording and touring act T.O. Joker under the recording label Magada international. 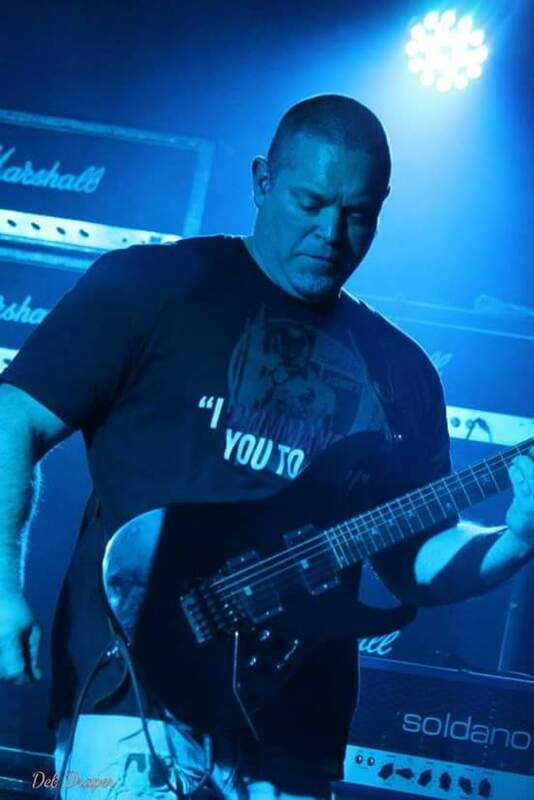 He has toured across Canada and down through the U.S.A. many times playing Night Clubs, Festivals and opening for other well known national acts such as April Wine, Blue Oyster Cult, Jeff Healey, and many more. He has taken a long haitus from music and has instead cultivated a successful career as a data architect, got married and is raising 2 beautiful girls. In 2015, he decided it was time to get back to having some different fun by pursuing his original passion for music with long time friend and talented musician Ian K.
Started playing guitar when he was 13, & guitar is the only instrument he plays. 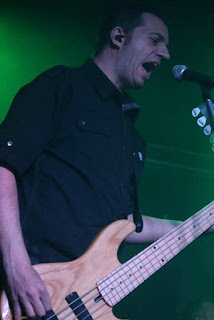 Paul has been playing in Ian-K for over a year now, but has played with Ian Kurz for many years in the F-Bomb, Fear, and Blackout (Scorpion Tribute - before Ian left to join Destroyer). Paul has a single full length CD recorded and was released in 1999 (HammerBag). Ian-K has already shared the stage with some of the top notables in the biz, it won't be long before this fresh, unique, alternative indie rock sound will have their NAME IN LIGHTS & future awards no doubt.